The number counter is a great way to display numbers in a fun and engaging way. This module is commonly used to display statistics about yourself or your company. You can use it to display statistics, or show off your work in numbers. Easy to setup, the animation will start playing when user scrolls to it. It won’t play while it’s not in the viewing area. You can specify the target number the counter should count up to. Choose time and delay of the counter. Easy to upload and manage html content. 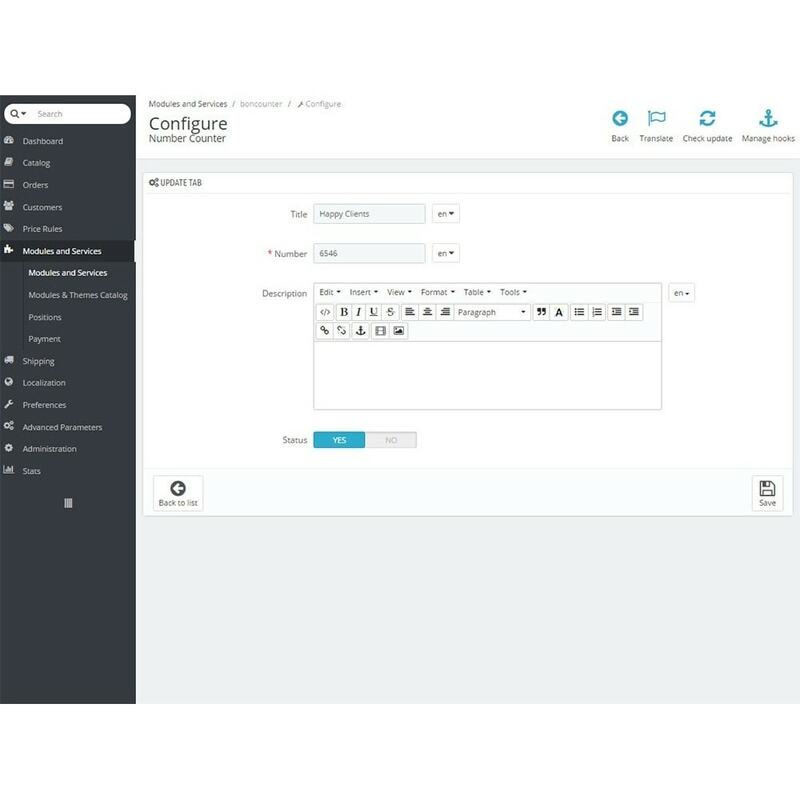 Resize a html content automatically on responsive themes. 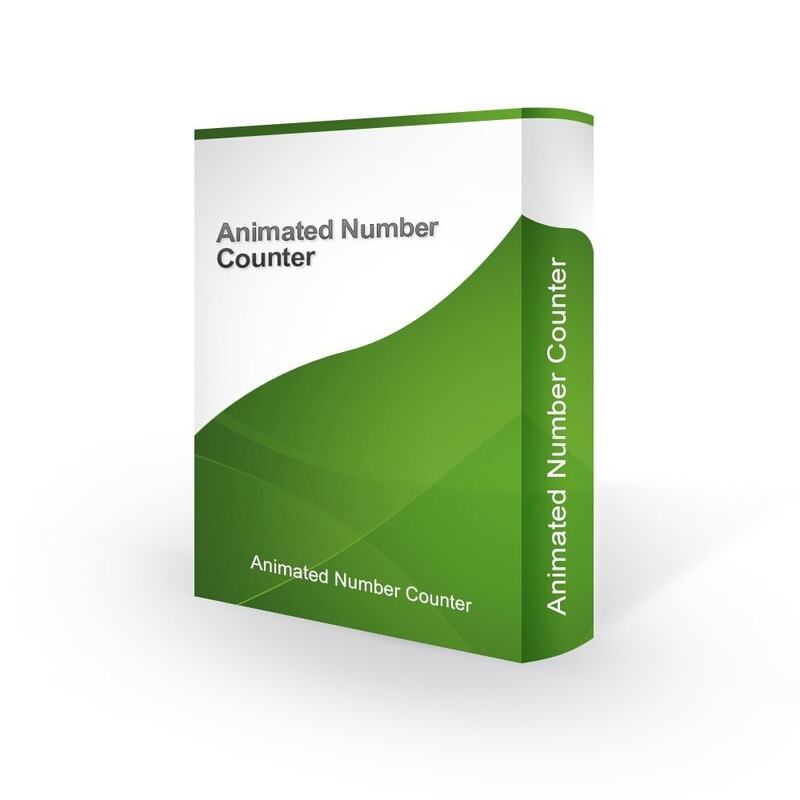 This easy at installation and flexible at configuration module allows you to create attractive Animated Number Counter in a couple of minutes!